Beautifully decorated 2nd story rental with all the amenities & great view of Lake St. Clair’s Anchor Bay. Sleeps up to 8 people. 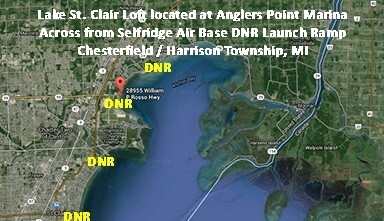 Located next to the Selfridge Air Base DNR Launch Ramp for quick access to excellent fishing and boating. Click calendar to go directly to Angler’s Point website’s home calendar thanks!